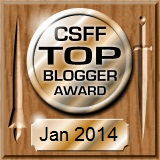 Julie once more for the CSFF Blog Tour! Ridiculously simplified summary: Second in a series. The kingdom of Erinon, perhaps the whole world, is in grave danger. When the king dies, the kingdom's protection will expire as well, plunging the kingdom into chaos and war. Martin the priest and his companions, nearly caught using predictive lots for forbidden purposes, have to flee the conclave to avoid discovery. While on the run, Martin discovers that the "unknowable" force Aurae is in fact knowable. Meanwhile, town drunk-turned-warrior and reader of the future, Errol, is unfairly accused. He is compelled, condemned to journey to a far-off kingdom to kill the near-invincible Sarin Valon. There is quite a bit of violence in this one, including multiple beheadings, puddles of blood, and so forth--I got a bit nauseated at parts. Compelling: 7 out of 10. If you read my review of A Cast of Stones (Book 1 in the series), you probably realized I'm not a fan of epic fantasy. I actually enjoyed several portions of this book, but I found it tricky to rate, given the multiple storylines. I had some interest in Errol's exploits even early on (and much moreso later). But since I have no interest in the church arc and politics, I had almost no interest in Martin's thread until the very end of it (more on him later). The last hundred pages or so got more interesting to me, though. Unlike A Cast of Stones, I thought this book built to a logical and satisfying conflict. As it's a trilogy, of course things weren't resolved by the end, but I felt it was structured better than the first book. Characters: 4 out of 10. Many of the characters from A Cast of Stones are back in this one. Aside from Naaman Ru and Adora, I don't like any of the returning characters here more than I liked them in A Cast of Stones; in fact, I found Rohka less likable, bordering on unbalanced. There are a few new characters which, on the balance, I found about as likable as the ones we left behind in Book 1. Errol is still a good character, although he goes catatonic for a pretty long stretch. (That's not unrealistic, but I have no patience for characters who do that in any book; I want to read about people moving on, not moping.) I still strongly dislike the priests, and in particular Martin. Unfortunately for me, many pages of this novel are from Martin's point of view, and the scenes did little to endear him to me. His story arc features him thinking he's not good enough (instead of being too physically weak and drunk, like Errol, he considers himself too physically weak and fat). Despite the shortcomings for which Martin despises himself, he is Chosen for some sort of greatness. If you like Martin, you might think that is a fun parallel to Errol's arc, granted. Writing/editing: 4 out of 10. I thought the writing style in this was worse than in A Cast of Stones, or maybe I just noticed problems more. First, there are many scenes from Martin's point of view, and I was expecting at least a subtle change in the character's thought processes and narrative style to match who he was. Instead, I felt like Martin's scenes were written in an identical style to Errol's. So instead of any quirks of the style being due to getting into Errol's head, I now see the style was simply the author's own style, since an older priest and a young man think the same way. I think there was a real missed opportunity here--seeing two substantially different voices would have been compelling. The fight scenes are full of action verbs, but I think that causes some odd phrasings. For instance, on page 101, (crossbow) "Bolts sprouted from the flesh of the bowmen like quills" and then 4 paragraphs later, an arrow "sprouted in a man's throat." Since things that sprout come from beneath the surface, I thought "sprouted" was an odd term to use for objects that are likely penetrating, at least as far as Errol can see. And to see this unusual phrasing twice in such close succession distracted me. Every author has some of these words that they use more often than an editor might expect (I could've sworn my co-author and I had a blog entry where we listed ours, but I can't find it--"just" and "back" were two of our simple ones). In a perfect world, I imagine an editor would go through and ensure overused and notable words are used carefully. I hadn't been distracted by the "telling" in A Cast of Stones--if every emotion and thought were "shown" it probably would have been an extra 200 pages long! But in The Hero's Lot I thought some of these "telling" instances should have been expanded to draw the reader in. On page 397, to describe what Errol thought may have happened to someone he cares about, it simply says "Errol's imagination conjured images that disturbed him. The tenor of his heartbeat increased until it pounded against his ribs." For myself, I'm not feeling his anguish--I feel like I'm being told he had some bad thoughts that made his heart pound. I actually enjoyed the ending and some other parts of the book, but this enjoyment was due to the plot. The writing isn't terrible by any means, but I think another round of editing could have made the story shine. Plausibility/believability: 2 out of 5. I have many of the same concerns I had from A Cast of Stones, but there are fewer of the weaponry details I enjoyed so much in Book 1, though I thought I "saw" the new places visited better. I did think it was rather strange and convenient that numerous people were forced into doing what the plot required by being compelled by the church...if not for compulsion, one character may not have appeared in this book at all. Positive: 3 out of 5. Things aren't going great at the end of this book, but Christianity finally makes an appearance here. I think most of this book is darker than A Cast of Stones (which was pretty dark itself!) but this one ends happier so I found it less depressing. Gut reaction: 3 out of 5. The more optimistic ending gave me a better feeling about the end of this book. I actually got more interested as the book progressed (provided we weren't following Martin!). Two pages later, a ship captain talks to his wife or lover and "swatted her on the rump." Seriously?! Adora and Rokha are all right, in fairness, but I still get the feeling that women are just there to be love interests and daughters, not generally valued in their own right. Then again, this is a plot-heavy book; few of the plot points occur due to the purposeful actions of any of the heroes, male or female. In fact, one could probably argue that Adora is one of the few characters who chooses multiple courses of action for herself, instead of being outright forced into it by others. She might truly come into her own in the final book. Recommended for: Fans of Christian epic fantasy. 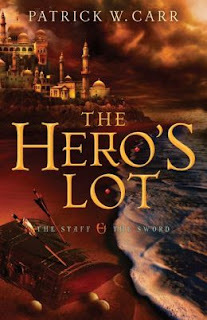 Being on the western side of the US, I have to write my posts the night before...so tonight (Monday night) I'm going to try to plow through the last 100 pages of Patrick W. Carr's The Hero's Lot (or sacrifice my Tuesday writing/lunch period). So hopefully I'l have a review by Wednesday. 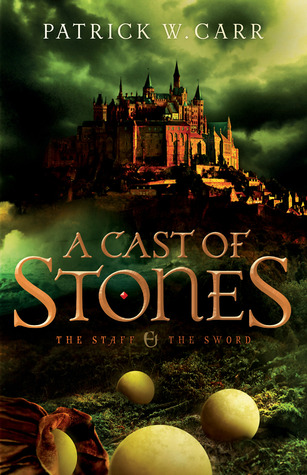 But I'll try to keep it brief, as I'm pretty sure it'll be like my review for A Cast of Stones. If you like that sort of story, you'll like the series. If you don't like epic tales of kings and corrupt churches and kingdoms falling into darkness and such, then it's probably not for you. I was hoping that characterization would pull me through (it actually worked for me with Tolkien's Lord of the Rings trilogy) but (aside from Errol) I just couldn't get into the characters. As of this moment, it's still at 4.5 stars on Amazon, so I'm guessing that it is a very good read for the kind of people who like that sort of thing. As for me, well...it is kind of interesting to learn what kind of things I really don't like! Julie here for the CSFF Blog Tour! Like last time, I'm going to post the review at the start. Content: The Church is less than likable, and there's very little reference to Christianity, though there are references to the Father, Son, and Holy Spirit (with new names) and a scene of taking Communion early on. The Church casts lots and reads hidden words in these lots in order to discern the future. There are references to the Holy Spirit, but for whatever reason, their significance flew by me as insignificant until they were bluntly recapped in Book 2 of the series, The Hero's Lot. There is quite a bit of violence--I don't remember being disgusted, exactly, but sometimes it was described in detail--and some monsters. Compelling: 4 out of 10. 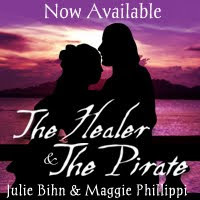 The first chapter was interesting enough to draw me in and make me request to be in the blog tour. But I'm actually not a fan of epic fantasy with tales of kings or church conspiracies. And Errol is a character who doesn't know what is going on and shows very little initiative or interest in doing anything at the beginning. By the end, the other characters as much as admit he's a pawn! So it was my own fault for requesting a book I should have known wouldn't interest me. But I didn't really care for the whole arc with Luis and Martin from the church, which starts early on and continues until about page 146. And after page 300 or so, when the story returned to the church and the monarchy, I lost interest again, with more than 100 pages to go. I didn't feel the ending had any resolution to speak of, either. Aside from surviving, I don't feel like any goals were achieved in the last portion. Not only did I feel it wasn't a complete story, but it didn't even cut off at a part I found interesting. I know I've gotten irritated at books lately for adding a chapter where everything goes wrong just to make the reader want to continue. But this book doesn't even wrap up neatly to begin with, and then there's an extra chapter that I didn't find surprising at all, given the entire story is about Errol. Those concerns aside, between these "epic fantasy" bookends, Errol has his own journey. During this lengthy break, Errol is on his own, learns to fight, and otherwise has goals of his own (okay, near the end of this portion, his goal is caused by a compulsion cast on him, but still). The characters with him have relatable goals as well. (Yes, wanting to be rich is a tangible goal that I can sympathize with.) I enjoyed this middle portion, and if the whole book would have been more like it, I would have come away liking the book. Writing/editing: 7 out of 10. Some of the reviews on Goodreads have some rather harsh criticism of the writing style. I didn't have any major complaints on that front for this book...it is from Errol's point of view throughout, so if parts sound like they were written by a teenager (as at least one reviewer complained), that's not inappropriate. But I saw a few typos and several parts where the writing was confusing. One place near the end was so odd that I flipped back to the previous page and reread it more than once to make sure I hadn't missed anything. (p. 407) Cruk signaled to a guardsman who passed by with a flagon of water. He took a long pull from it and then handed it to Errol. "Let's go see what the abbot can tell us." Errol moved to follow, then scanned the crowd. He found her kneeling on the floor beside the king's steward, pressing her hands against a gaping wound in his side. The man wouldn't live, she had to know that, but no hint of it showed in her face or the glorious green of her eyes. Errol couldn't hear her words, but her face and posture carried assurance and comfort. Blood soaked her gown. As far as I can tell, the "her" referred to here wasn't mentioned anywhere earlier in the chapter (though the middle of 407 does reference Cilla, a tavern-owner or ale server, which just adds to the confusion). The reader should have a guess who this person is from the color of her eyes, but I still feel like I was missing something. I think this book could have used some more editing, but overall I didn't feel that the writing got in the way of the story. Plausibility/believability: 3 out of 5. I'm sure Carr put a lot of thought into the world, but somehow I just didn't feel drawn in. I don't feel like I "saw" the (nicely-named) Cripples area, the forests, even the towns. The idea of the lots is interesting, but also confounding, since it's unclear why they don't use the lots more often, and why these supposedly predictive devices fail so often (though the latter could be a plot point in a later book). The writing about the staff and fighting techniques were a highlight, and read "real" to me. Positive: 2 out of 5. At first, I thought the whole idea that a drunken lout would be inexplicably Chosen was a parallel to the Christian life (and was honestly boring, because who wants to read about someone who can't better themselves but has to rely on God to do it?). At any rate, Errol seems to becomes a better, stronger person through his own free will and the teaching of a great warrior--certainly not through faith in or obvious assistance from any sort of higher power. And everyone is considered a pawn in the quest to find a new king, but I still don't understand why finding that king is so important in the first place. It left me kind of depressed, since friendships seem to mean nothing in this world. Gut reaction: 2 out of 5. Something else that really bothered me was the portrayal of women. Again, I thought the middle was better on that front, with two women warriors (!) out of a group of 15--nothing groundbreaking about those women, but they were there. Otherwise, women were relegated to minor and (I thought) dull roles. To the best of my recollection, the only other ones with any personality are a farm mother/daughter, an innocent herbalist (and they're all considered evil in this world), and a princess. At least three women--and certainly the two with the most personality--are in love with Errol. Actually, I felt like all the women of any importance who were portrayed as being in the right age range were in love with him, which I couldn't enjoy. Recommended for: Fans of epic fantasy with lots of talking and reference to the church, but light Christian elements. Either Tuesday or Wednesday I'll talk about the second book, The Hero's Lot...not certain I'll be able to finish it, but I'm trying. Julie one more time! This may be considered spoilers so you might want to just go on somewhere else if you haven't read Jill Williamson's Captives. But anyone who has read the book, or probably who has read a summary or review, understands that the Safe Lands is not a moral place. The stated goal of life there is to find pleasure (although in fairness, people do seem to work about 40 hour workweeks). Immorality runs rampant. Everyone has an incurable disease. Women are forced into bearing children and not even allowed to raise them. The government has a quite literal three-strikes-and-you're-out policy, or if not, once you hit 40, you get "liberated" (presumably euthanized). As the book put it, the Safe Lands are a "gilded cage." But an interesting point I was thinking of (and not surprisingly, Shannon McDermott posted it before I did; drat!) is that Glenrock, the rural community outside the Safe Lands, is not exactly a great place either. The basics of life seem to be covered fine--no one seems to go hungry, and while the people presumably work hard, they still have parties and even play Old video games and watch Old movies. Their life goal is not to find pleasure, but a big priority is marrying young and repopulating the Earth and such. I find this fascinating, because the Safe Lands practices forced surrogacy and forbids the formation of families with children. Whereas in Glenrock, a pair of young people are strongly pressured into an unwanted marriage so that they will have children. Marriage and procreation were vital to the people of Glenrock, and while Mason saw no logic in waiting to marry until he reached 27.5 years, reaching at least twenty would offer him so much more knowledge and life experience. Why not wait another three years for that? In addition, Glenrock has some gender biases (besides the usual patriarchal leanings, by tradition the MEN wouldn't practice medicine). While Omar (a young man from Glenrock) is rather self-absorbed and self-pitying, when he basically says that Jemma was the only person in Glenrock who was kind to him, I actually believe that the people there really did see him as an outcast and didn't reach out to him as well as they could have (though I also don't know that Omar wanted to be reached). Never mind the main characters' emotionally-abusive father, who as much as forced his son Mason into consenting to an arranged marriage. And at least one of the female villagers has serious body image problems (yes, even in a village where food isn't readily available at a grocery store, a young teenage girl is routinely thought of as fat, and hates that aspect of herself). While Christianity wasn't forgotten in Glenrock, I didn't personally feel that it was a particularly Christian community, either. When things go wrong the characters may think of or call on God, but that's about all I noticed in this book. Anyway, what I liked was that even though the Safe Lands are dystopic, Glenrock was not portrayed as an ideal place. It seems like they did not work an excessive amount, had enough to eat, had a reasonable life expectancy, and had some technology that would have been the envy of people in the 1980s, maybe even 1990s. Yet both the society and some of the individuals had some fairly serious problems. I think people are people, whatever world you put them in. One saying that's not directly from the Bible (as far as I know), but that has a Biblical basis, is that Christians are called to be in the world but not of it (John 15:19; Romans 12:2). I'd almost be tempted to say Glenrock's citizens are instead of the world but not in it. I also like that instead of wanting to flee the Safe Lands and perhaps get back to their regular lives--Levi's goal--Mason actually has some interest in saving the people of the Safe Lands. The technology itself isn't necessarily evil; vaporizers can be used for medicine, for instance. The problem is how the technology is used and the people in charge of it. It may take a massive rebellion against the government, or underground movements which may already be in the works...but someday there could be a large population of Godly people in the Safe Lands, actually living in the world but not of it. And yes, the people in rustic Glenrock do watch movies and even play video games. As I touched on in my review, Levi and Jemma, the "perfect" couple in the novel, love the film "The Princess Bride," so much so that Jemma's convinced that Levi, her "Westley," will save her when she's captured, and uses the codename Buttercup. I just assumed Williamson was writing this as a sweet, innocent, positive thing, though I didn't see the basis for their romance (except that they were pretty, they loved each other, and presumably liked the same movies). For me, this romance didn't work, and not just because I'm not a sucker for the romance featured in "The Princess Bride." Actually, if Levi had called Jemma his Belle, his Tiana, even his Anastasia, I still would have thought it was much more creepy than cute. And in fairness, I'm sure that in real life, people get tired of me quoting TV shows they're not interested in. I guess a takeaway (whether intended or not) is that we probably should be living our lives in the "real" world. Not that we can't enjoy entertainment, but fixating on ANY media--"wholesome" or not--is at best silly and at worst as destructive as life in the Safe Lands. Not fixating on media is easier said than done, of course, and I don't know that I can do it. Certainly not on my own.